junk mail. Pull-out drawer for paper feeding. AccuFeed Technology. 350-sheet capacity, 12-sheet manual. 5/32“ x 1-1/2“ cross cut. 9“entry width. 11 ft./min. shred speed. 60 dB noise level. 30 min. usage on. 18 Gal/68 L capacity. 15-3/8“W x 22-3/4“D x 32-1/16“H. 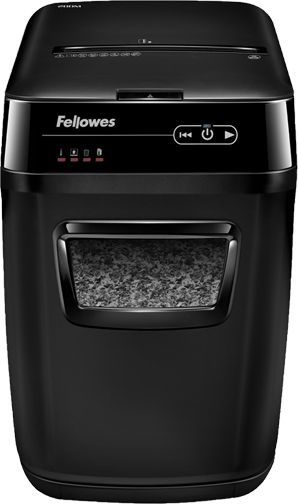 2-year warranty on shredder/20-year warranty on cutters. † Valid February 1-28, 2019. † † After mail-in rebate. Shreds staples, paper clips and credit cards. 10-sheet capacity. 5/32“ x 1-9/16“ cross cut. 8-3/4“ entry width. 14 ft./ min shred speed. 6 Gal/22 L capacity. 9-3/16“W x 14-5/8“D x 16-1/8“H. 1 year warranty. SureFeed™ technology that allows for a true walk-away shredding experience. Innovative touch screen with back-lit LEDs. Auto Reverse stops and reverses paper if a jam occurs. The energy saving Sleep Mode feature shuts down the shredder after 2 minutes of inactivity. Shreds CDs, staples, paper clips, credit cards and junk mail. 200-sheet automatic, 10-sheet manual capacity. 1/12“ x 6/11“ cross cut. 9“ entry width. 9 ft./min. shred speed. 60 dB noise level. 12 min. usage on/20 min. cooling off. 8.5 Gal/32 L capacity. 22-3/16”H x 13-5/8”W x 20”D. 2-year warranty on shredder/7-year warranty on cutters. Shreds CDs/DVDs, staples, paper clips, credit cards and junk mail. 16-sheet capacity. 9" entry width. 10 ft./min. shred speed. † Limit of 3. Valid February 1-28, 2019. 100% Jam Proof with SafeSense Technology®. Shreds CDs, staples, paper clips, credit cards and junk mail. 18-sheet capacity. 5/32“ x 1-1/2“ cross cut. 9“ entry width. 10 ft./ min. shred speed. 65 dB noise level. 30 min. usage on/40 min. cooling off. 9 Gal/34 L. 11-3/8“W x 17-5/16“D x 25-3/16“H. 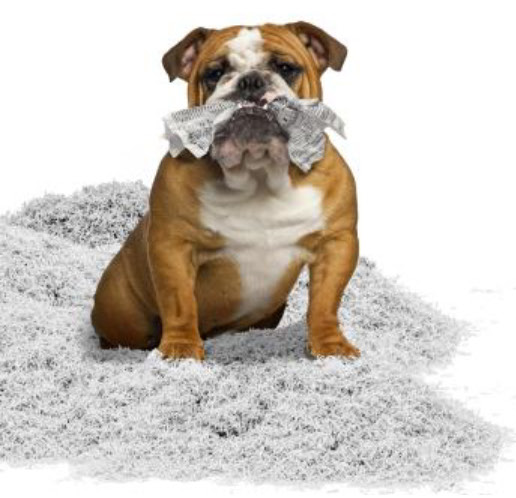 2-year shredder warranty/Lifetime warranty on cutters. High capacity, government approved. Shreds CDs, staples, paper clips, credit cards and junk mail. 22-sheet capacity. 5/32“ x 1-1/2“ cross cut. 9-1/2“ entry width. 14 ft./min shred speed. 58 dB noise level. Continuous usage. 16 Gal/70 L capacity. 17-3/4“W x 17-3/8“D x 30-1/2“H. 2-year warranty on shredder/Lifetime warranty on cutters. credit cards and junk mail. 20-sheet capacity. 5/32“ x 1-1/2“ cross cut. 9“ entry width 16 ft./min. shred speed. SilentShred noise level 45 minute continuous run time. 14 Gal/53 L capacity. 21-1/8“W x 29“H x 11-1/6“D. 2-year warranty on shredder/ Lifetime on cutters. Fast-fold set-up. Contains a minimum of 60% post-consumer recycled material. Locking lid. 850 lb. stacking strength. Letter or Legal size. 12”W x 15”D x 10”H. 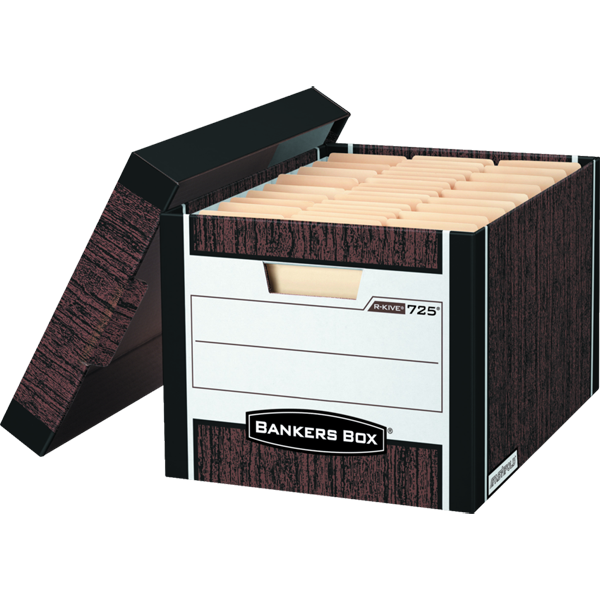 23029-00…00725 Woodgrain, 12 boxes/ctn … $79.99 ctn. Depend on tough, reliable paper shredders to ensure your peace of mind. Contains a minimum of 50% post-consumer recycled material. Lift-off lid. 450 lb. stacking strength. Letter or Legal size. 12”W x 15”D x 10”H. 23119-00…00772 25 boxes/ctn. ... $109.99 ctn. 12-1/2” document entry width. Accepts 3 to 5 mil pouches. Auto-shut off and jam release. Hot and cold settings. Ready in 1 minute. 12”/minute laminating speed. Includes laminating starter kit. 2-year warranty. 20-15/16”W x 5-3/4”D x 4-1/8”H. Silver. Protect, preserve, and enhance your work! 12-1/2”document entry width. Features 30-second warm-up with InstaHeat technology. Unique AutoSense™ system detects pouch thickness and self-adjusts to the optimal laminating setting. Auto shut-off prevents overheating when not in use. Accepts hot or cold pouches up to 10 mil. 43”/minute laminating speed. Includes laminating starter kit. 2-year warranty. 21-1/2”W x 6-3/4”D x 4-3/4”H. 44016-00…Venus™ 2 125 ... $339.95 ea. 9-1/2” document entry width. Accepts 3 to 5 mil pouches. Features HeatGuard Technology™. Hot and cold settings. Ready in 1 minute with InstaHeat Technology. Auto-shut off and jam release level. 12”/minute laminating speed. Includes laminating starter kit. 2-year warranty. 17-3/16”W x 5-1/2”D x 4-1/8”H. Silver. Image Last™ pouches with built-in UV protection prevent fading and provide superior laminate. Directional arrow guidance ensures correct pouch insertion into laminator. Letter size. 9“ x 11-1/2“. 200/pkg. 31494-00…5244101 3 mil … $49.99 pkg. Being your best means looking your best. Pull out, jam free clippings tray. Includes starter kit. Punches up to 25 sheets. Maximum number of sheets is 500. Maximum bound size is 2” x 11”. Adjustable depth. Comb binding. 18-1/8”W x 15-3/8”D x 5-1/8”H. 2-year warranty. 44716-00…Quasar™+ 500 ... $279.95 ea. Vertical loading for consistent punch alignment. Pull out, jam free clippings tray and comb storage tray with document/comb sizing. Includes binding starter kit. Punches up to 28 sheets. Maximum number of sheets is 500. Maximum bound size is 2” x 11”. Adjustable depth. Comb binding. 17-3/4”W x 9-11/16”D x 6-1/2”H. 2-year warranty. 44128-00…Galaxy™ E Comb ... $649.95 ea.